The quality of the castings are of the highest standard, the modeling of the statue is well balanced and is embellished with additional elements throughout. i.e. books, sceptre. 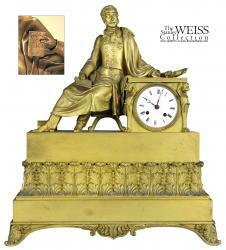 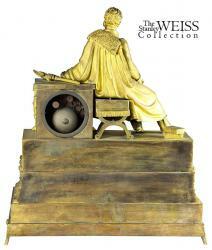 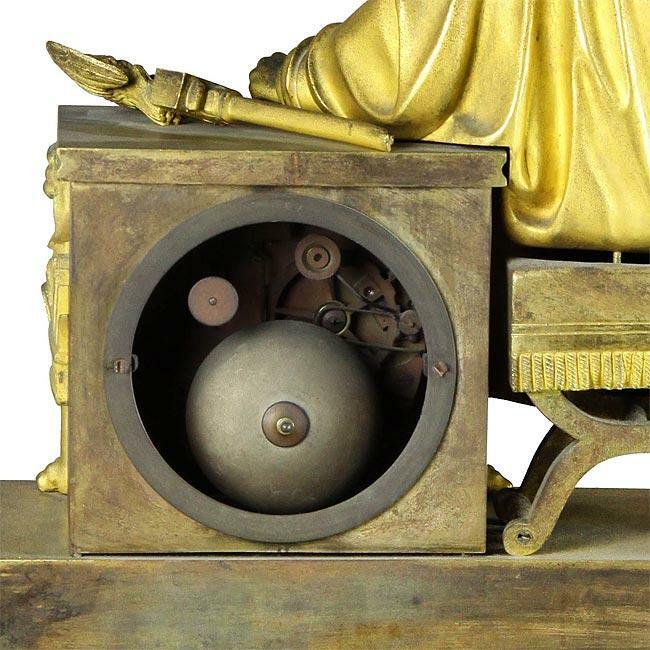 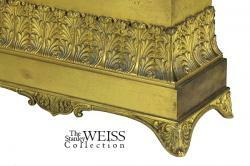 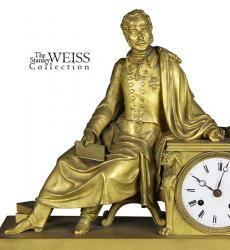 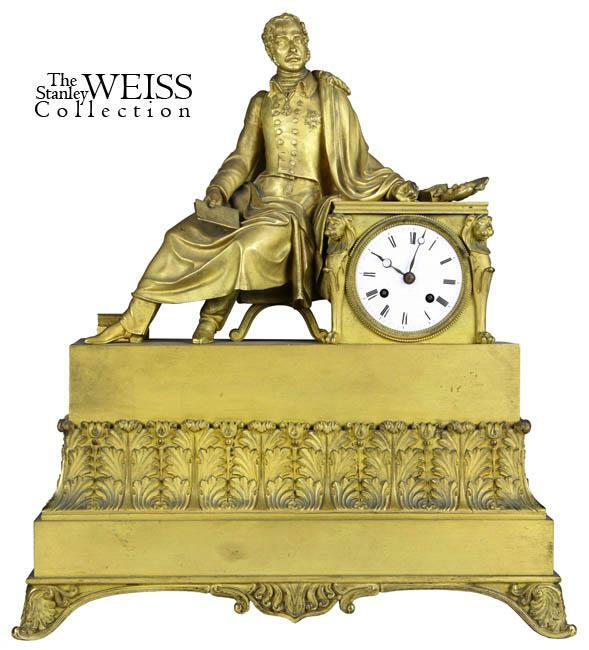 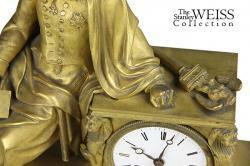 This clock retains its original gold wash surface with no missing elements.